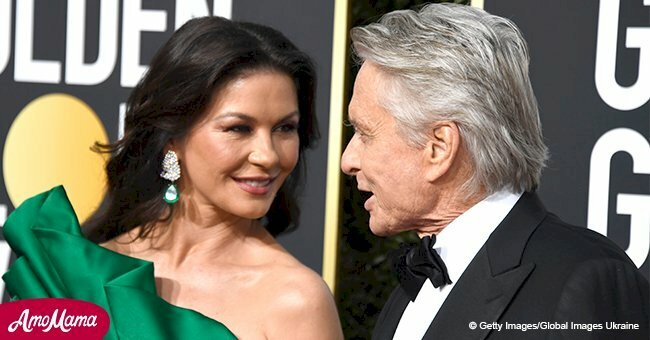 Catherine Zeta-Jones celebrated her husband's, Michael Douglas, 74th birthday with a very special and sweet video that she posted online. 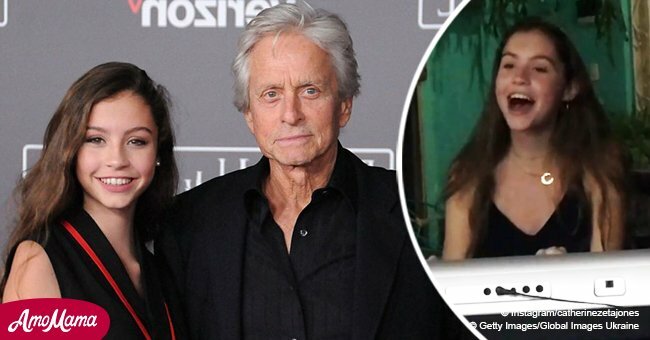 The 49-year-old actress, who curiously shares the same birthday as her other half, September 25, uploaded the black-and-white video to her Instagram account. There, her fans and followers were able to see the scene from Douglas'movie, "The American President," including several pictures of the couple. Aside from photos of Zeta-Jones and Douglas throughout the years, Marylin Monroe can be heard singing 'Happy Birthday,' one of the late actress' trademarks. "Happy Birthday to my very own President! My husband Michael. I guess that makes me First Lady! Stranger things have happened! Go figure. Oops, it’s my birthday today too." The lovebirds have been celebrating their birthdays together ever since they started dating, which didn't seem to trouble the actress, at least at first. 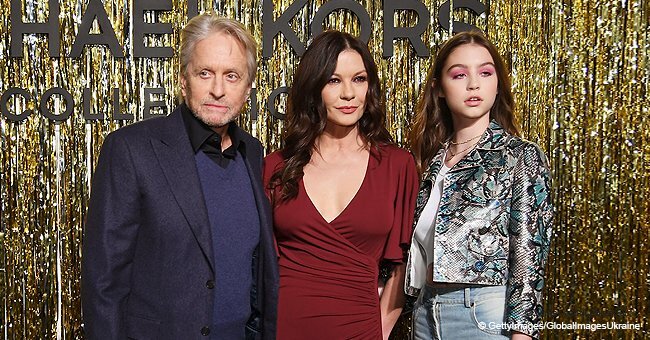 During Michael Kors New York Fashion Week, Zeta-Jones said that, while it was fun doing it in the dating phase, she now wants to be able to celebrate her own birthday too. The 48-year-old's daughter, Carys, accompanied her to the fashion event and the duo sat right in the front row, looking almost like twins. The 15-year-old has been growing quite a lot and she is the spitting image of her mother. They have been attending fashion-related events for a while now and they always steal the show. When they showed up to Alta Moda's women's couture event, which took place at the New York Metropolitan Opera House at the Lincoln Center, they matched their looks with black outfits. While Zeta-Jones opted for a semi see-through black lace dress, Carys, who was 14 years at the time, chose a black and white off-shoulder top with colorful roses printed on it.